Well those of you who know me know that sunrise is something I very rarely see. Last weekend while visiting a friend on Nantucket was one of these rare occurrences. She was going to be up anyway due to work so we had her wake us up just before sunrise so we could all go check it out and I could get some photos. Above is what I ended up with. We probably should have thought a bit more about our plan of attack the night before instead of just winging it first thing in the morning but after driving around for a bit we stumbled on this spot which was perfect. I wrapped my new Gobi Gorilla Pod around a fence post and shot away. 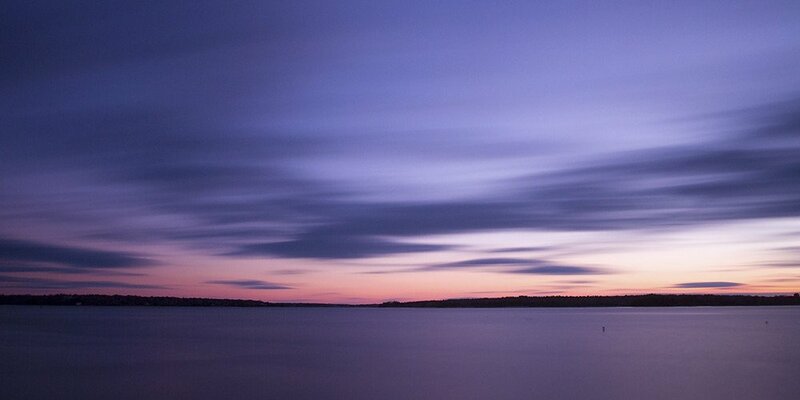 Here is another image taken using the 10 stop ND filter. This was taken around 5 in the afternoon from Nobska Beach in Falmouth. Continuing my trip through the archives re-processing photos now that I know how to actually use photoshop. I took this one while on a cross country trip with Dea way back in 2005 it’s hard to believe that was 8 years ago. Here we were driving through the Painted Desert National Park and there was a crazy weather front moving through the area which gave us some great light I have a few more I might re-process from this part of the trip.